The JEWEL 8x10 Rug by Dalyn at Miskelly Furniture in the Jackson, Pearl, Madison, Ridgeland, Flowood Mississippi area. Product availability may vary. Contact us for the most current availability on this product. Handcraftsmanship meets Value in the Jewel Collection. 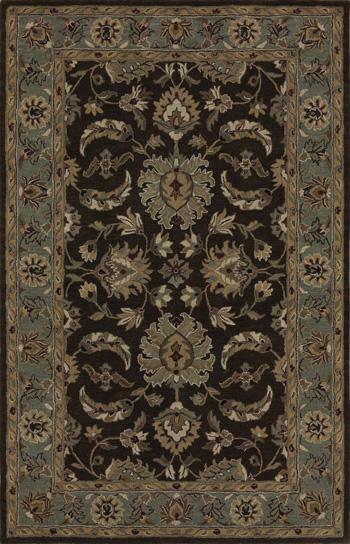 These fine rugs are hand-tufted using 100% wool and are available in the widest selection of designs. The collection offers an array of fashionable colors to meet all your decorating needs. *Vacuum regularly. Spot clean with mild soap and water. *Rug pads are recommended to prevent slipping and to extend the life of your rug. **Colors may not be an exact representation of the rug due monitor limitations. The JEWEL collection is a great option if you are looking for Rugs in the Jackson, Pearl, Madison, Ridgeland, Flowood Mississippi area. Browse other items in the JEWEL collection from Miskelly Furniture in the Jackson, Pearl, Madison, Ridgeland, Flowood Mississippi area.